As a PT, it is incredibly rewarding to help patients meet the challenges they face due to an injury or illness. It is thrilling to return them to their favorite activities and a full life. 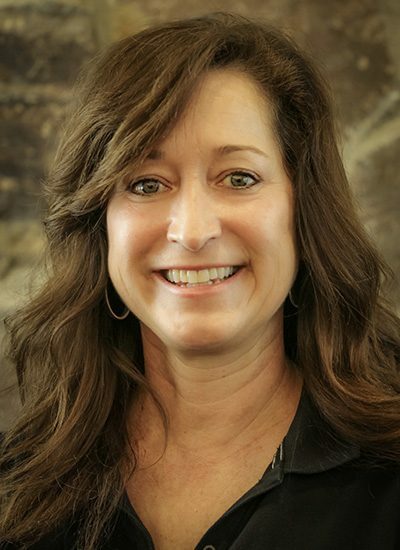 Lori was born in Minnesota, but has lived in Laramie for more than 20 years and very happily calls Wyoming “home.” She received her undergraduate degree from the University of Wisconsin and her PT degree from the University of Minnesota, Minneapolis. Joining PBJC in 1997, Lori treats patients with compassion and enthusiasm and enjoys treating all types of injuries including shoulders, knees, and foot/ankle and wound patients. She is most rewarded by helping patients recover from injuries and surgeries and return to all of their favorite life activities and responsibilities. Away from work, Lori enjoys spending time with her family, playing tennis, hiking, cooking, cross country skiing and playing her guitar!